Jamie joined the Summit Smiles team in Spring 2013. Patient advocacy has been a passion that has always lined up with her overall enjoyment of people. She strives for excellence in customer service and office management and continues to upgrade her knowledge in dentistry through numerous dental education courses. She is experienced in financial and insurance needs and works hard to maximize insurance benefits. Her goal is to create a payment plan that enables patients to achieve optimum dental health. In her spare time Jamie enjoys spending time with her daughter, Izabella along with their two furbabies. Malika has been with our team since our inception. She has many years of dental assisting experience and began her training in Morocco. She received her Dental Assistant degree in 1996 and has been licensed in Dental Radiology since 2011. 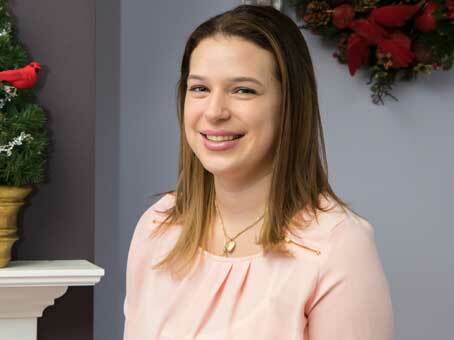 She loves delivering high-quality dentistry to our patients in a warm and caring manner. She keeps up with all the latest techniques as well as strict infection control protocols. Continuing education is very important to her. Malika is trilingual and speaks French, English, and Arabic. In her spare time, she enjoys caring for her daughter, Sofia. 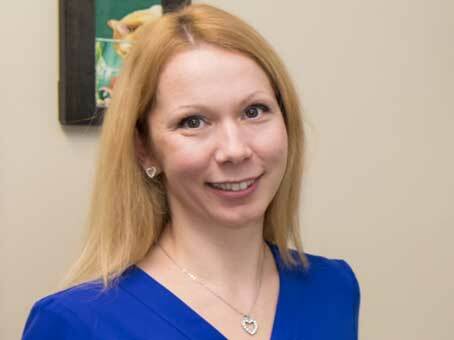 Olesia Borets RDH, BS, MS – graduated from the Fones School of Dental Hygiene at University of Bridgeport CT – the first and most recognized Dental Hygiene School in the US. She is a current member of Phi Kappa Phi honor society. She received her Bachelor and Master Degree in Kiev, Ukraine, after which she worked in Children’s Oncology Center. She has experience in working with different patients such as pediatric, adult, geriatric and patients with special needs. She is a mother of two active boys, so she relates extremely well to the children in our practice. She is also CPR/AED certified from the American Red Cross First Aid and speaks Russian and Ukrainian fluently. Olesia enjoys hiking, reading and cooking.